If you’re bored sitting at home doing nothing, you can try to meet someone new online, head out for a coffee with them and hopefully not get killed. Of course, that was a horrible joke. But, the fact that you can indeed meet someone new online, is easily possible with certain free video chat services. These services offer video chatting with strangers in open chat rooms, well, you can also IM them if you’re not very sure of showing your face. What are Free Video Chat Services ? Like chat rooms, where you can just join a random room and start talking to people about anything you want, there also are video chat rooms. I’m sure you must be knowing that! There are many video chat services online that you can just randomly sign up for and start discovering new life forms. It’s really very simple to start a video chat with a stranger or even friends. You will need to have access to a webcam and a microphone, if you want to start a random video chat with someone. And don’t worry about the other user not accepting your invitation, because the users who use such services are the ones who want to make new friends, so mostly they will just say Yes! Today, I’ll be listing 5 such free video chat services that can be found online, so you can get to work on starting a new friendship, relationship or hobby. 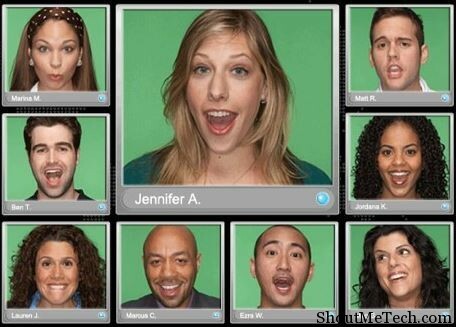 Some of them can be used for finding random people to talk to and some of them can be used for private video chatting. I usually use Skype on my desktop or Facetime on iPhone for video chatting with my known friends. I usually join any running public Google+ hangouts to talk to interesting people. 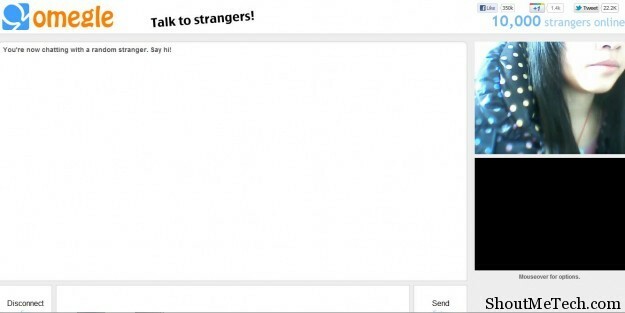 I used to like sites like Omegle which is still good but now I find them little perverted. Anyways, there free online services will hep you to kill your boredom or you can drop me a Hi on Facebook. You knew this was coming! Chatroulette is one of the most famous random free video chat services goballly. It’s free and simple to use. You just start up your webcam and hit the start button, where it connects to some random user in some random part of the world. It’s fun and works great! Though, I would suggest use this site under parental guidance as there are many fake cam on this site. Specially, when you go to site, make sure you on the right site as you will find many sites similar to chatroulette. 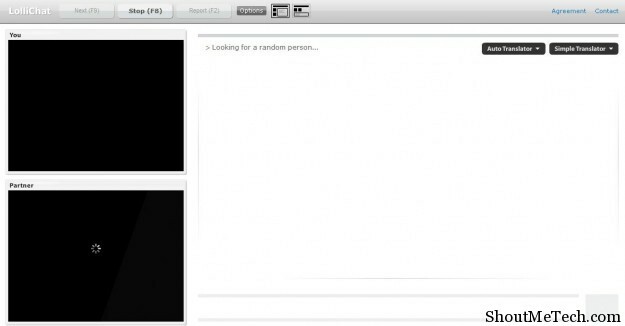 Chatroulette also offers many settings like you can select only girls to talk to or guys or random pick. Easy to use site and one of the popular free video chat site in U.S.
Another famous video chat messenger that doesn’t require you to signup or register first. In Omegle, just select if you want to start a random text chat or video chat with a stranger. The video quality is alright and is just as simple as Chatroulette. Make new friends or don’t, but you will sure have a good time talking to random people. You can even connect to Facebook and find people with similar interests to talk to. This is again, a free to use, no sign up or registration required video chat service. To start a random video chat, you will first have to agree to some terms and connect your webcam. If you don’t have a webcam, you cannot start a conversation with anyone. Usually, not as many users are online on this service, but you will find some people. Try Lollichat. It’s not as open as Chatroulette or Omegle, but it’s pretty good. 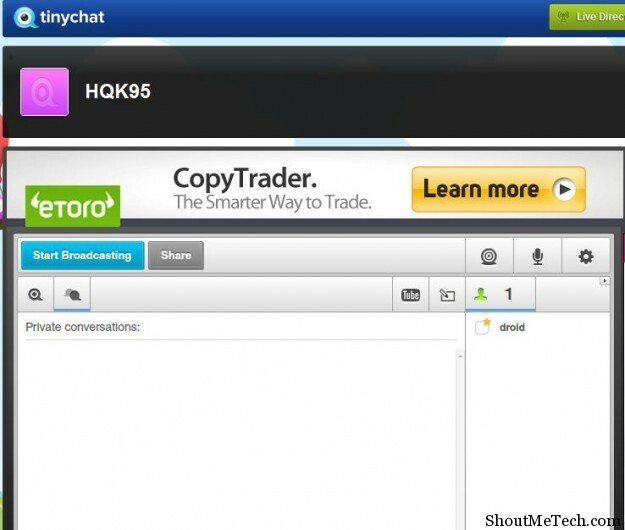 TinyChat let’s you randomly chat with people, join chat rooms etc. But, if you’re a registered user or have recently signed up, then you can make use of some other nice features too. You can even create your own private chat room and some friends. Chatablanca is a different kind of video chat service that lets you create your own custom rooms. You can video chat with up to 6 people at a time and have a good time. A sign up is required to use the video chat service, without which it’s really useless. Meet random people, invite them to your custom room and chat up. If you are looking for random video chat, you can also try Yahoo Chat! or MSN chat, as they have chat rooms for different category and interest. If you are looking for a decent desktop based solution, you can try Skype, which is free and offers group video chat too. One thing to remember when checking out any of these free video chat services, is that some of these websites show adult content. So make sure you are 18 years and older or at least have an idea of what you’re doing. These services are basically for all the single men/women or people looking to make some new friends, though more of the former. Try them out and tell us, which of these did you like the most! 1 What are Free Video Chat Services ?